For me, it’s not only the thrill of the sport and the competition; it’s the human element to the drama. Watching teenagers make their Olympic debut. Watching seasoned Olympians give it their all. Or injured athletes who fight through painful rehabilitation in order to pursue their dream. The highs and lows capture me: the athletes who find sheer joy in pursuing their passion alongside the athletes who stumble and fall. When that happens—when a skater stumbles or misses a jump, when a snowboarder wipes out—I silently cheer them on, urging them to keep going, to keep giving it their all. And I think about how hard it is to keep going when you know you’ve blown your chance for winning a medal. How do you keep giving your best in the face of disappointment and discouragement? Some of the most poignant moments for me have been in pairs figure skating. It’s one thing to make a mistake and disappoint yourself. It’s another thing to make a mistake that impacts your partner, someone who has put their success in your hands. I wonder how hard it is to put your faith in that person for the next lift or the next jump. I wonder how much strength and trust it takes to keep going. When have you had to extend trust to someone? I watch for the moment at the end of the program when the partners turn to face one another. When they have to look one another in the eye and confess that they’ve let the other person down. Sometimes they mirror mutual disappointment, occasionally I see judgment. The most moving moments are when they rise above their own discouragement and loss to encourage their partner. What comes most easily to you, judging others or encouraging them? Confession of the times when we fail is also good for relationships, whether one-on-one, or in teams and organizations. We need to accept that sometimes our best isn’t good enough, that we’ve made mistakes. It’s in confessing the current reality that we find the starting place that allows us to move forward. I confess that it’s easier to write about leadership than to lead. I’m grateful for those that allow me to partner with them, who extend trust and encouragement to me as I grow and learn, even in the midst of mistakes and failure. I don’t take their trust lightly. I count it an honor to serve alongside them. What leadership challenges impair your leadership? Who offers you support and encouragement when the going gets hard? I confess that at times it’s easier to judge someone than to offer them the support and encouragement they need on their journey. Who needs your support and encouragement to keep moving forward? What will you do today to encourage them? 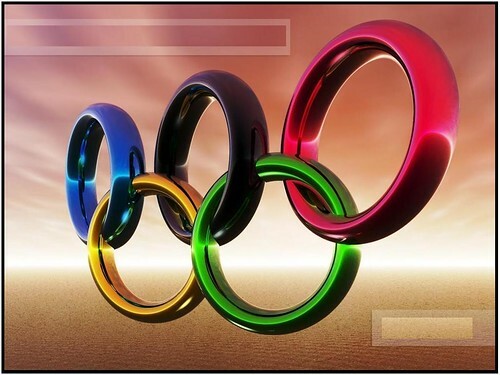 I confess that watching the Olympics makes me want to strive to be a better leader and team member. I want to experience the exhilaration of seeing dreams come true, finding the courage to keep going when it’s hard, and soaring on the trust of team members to accomplishing more than either of us could accomplish alone. Debbie Piper is a leadership coach, author, consultant and speaker. I too am a coach, a marriage, relationship and sexual coach. I loved your article, but more importantly your challenge question at the end. We don’t respect our partners enough. I have written an article that we should adopt the oriental custom of saving face and making sure that no one ever lose’s face because of us.